Shipping | Ana Gibb Designer Knitwear – bright ideas for kids! All goods are dispatched via Royal Mail’s first-class recorded delivery service, in padded envelopes or postal boxes, and must be signed for. If there is no one to sign for it, your package will be held at your local Royal Mail sorting office for collection. To protect the customer and guard against fraud, we will only deliver to the billing address on your payment card. 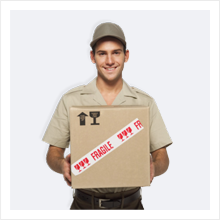 We will dispatch within three working days of your order or, if paying by cheque, as soon as the funds have cleared. We will not be held responsible for any errors made by the customer in supplying delivery addresses. Please contact customer services if your goods fail to arrive within the specified timescale. Created by 8theme ltd © All rights reserved.